Over the years, I have tried to correct my brows due to incorrect advice from an older sister who shall remain nameless. During High School, I had really nice pretty tamed eyebrows that looked even better after I received grooming through waxing or tweezing. The one thing I disliked about my eyebrows was the uneven tails. My older sister was around as I complained about them. And now that I think about it, it was a very tiny imperfection. She advised me to tweeze off the ends of my eyebrows and draw them on until they’ve grown back evenly. I didn’t think twice. “Honestly, when has your older sister steered you wrong?” So I did it, and I regret it, she hears about it every time she visits. Over the years I’ve tried filling in my eyebrows with various pencils & powders and they never look the same whenever I do them. Whenever Kim gets too many products to review, she asks that I review them and she knew that this was the perfect product for me to try out. Now, I could stop bugging her to do them whenever I go out (perks of having a make-up artist as your sister). This is the original complete brow stencil kit that remains a best seller over the years. Its classic brow stencil shapes work for virtually all brows and define the face beautifully, based on the professional 3-point brow shaping technique taught in the finest beauty schools. In this one compact, you’ll have the best of Eugenia’s expertise and brow artistry in your home to use daily. The kit is pretty easy to use. Align your tear duct with the little arrow on the stencil, make sure that your brow and the brow cut out are even and begin! Choosing the correct blend was a little tricky at first. I had to try a few times before I achieved the correct shade. I was amazed at how it enhanced my brows and they did not drawn on. It looked completely natural. Easy to use stencils and the 3 colors allow you to achieve the correct color that matches your features. It enhanced my already groomed brows. You achieve optimal results when used correctly. Holding the stencil gets pretty annoying. It shifts; I have to hold my hands in awkward positions. No brow set or grooming kit! For $45, it should include this. What’s the point of making beautiful brows with this product and it doesn’t come with a solution to keep your brows in tact all day. 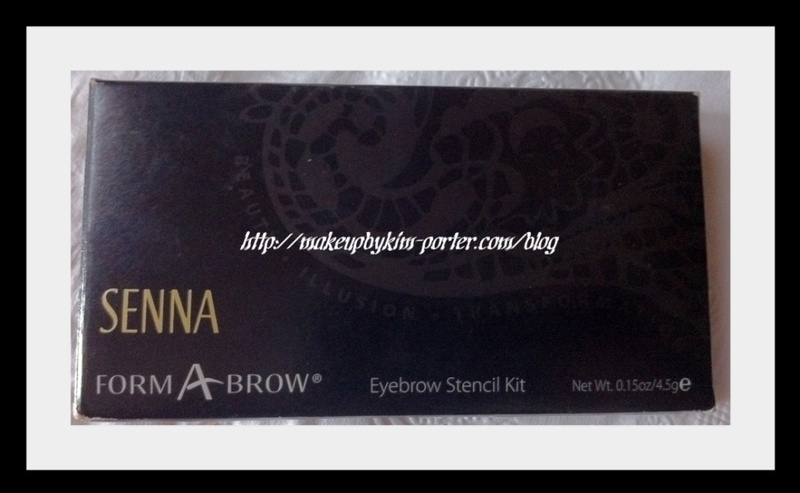 This product is going to last me a long time because I only do my brows when I have time or on special occasions. Would I spend $45 on this product? I don’t think so. It’s a little expensive for what you get. Include a little bit more and I would definitely consider replacing this one when it’s done.